An architect-designed house that is really something a little bit special! It is one of two similar properties, the owners live next door. 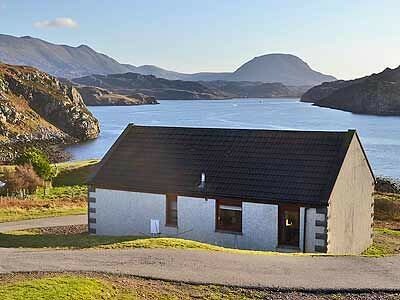 This spacious, bright and contemporary house will ensure a wonderful holiday in the remote north of Scotland. 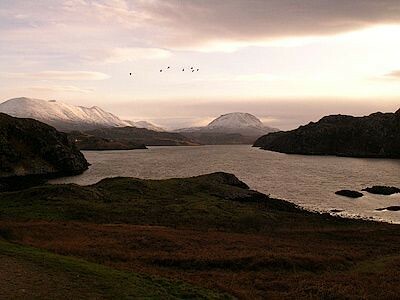 The house would be ideal for a family group or group of friends who want to get away from it all to this unspoilt and stunningly beautiful part of Scotland. The ground floor has a contemporary open plan living area with a well-equipped kitchen, a dining area from which the views can be really appreciated and a lovely sitting area set around a cosy woodburning stove. There is a utility/boot room and ground floor shower room. On the upper floor there are two bright bedrooms and a family bathroom. On the pleasant evenings visitors will most certainly appreciate sitting on their private balcony and soaking up the views with a nice glass of wine or two! It may be hard to leave such a lovely house but close by is the famous Sandwood Bay Beach reputedly the most beautiful beach in Britain. The wild and spectacular Sandwood Bay is backed by huge sand dunes and a loch and visitors can enjoy a lovely walk, paddle in the clear blue water or even a picnic! 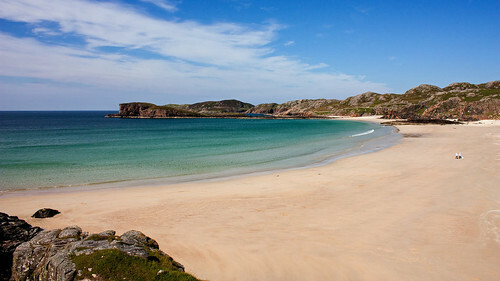 If you want to tour the area then why not head up to Durness the most north westerly point in mainland Scotland. Whilst here you must visit the spectacular Smoo Cave, a combined sea and freshwater cave complex which you can explore by boat or by the path from the car park. Two bedrooms: 1 x double, 1 x twin. Ground floor shower room with shower, basin and WC. Bathroom with bath, shower over, basin and WC. Open plan living area with kitchen, dining area and sitting area with woodburning stove. Utility . Fuel, power and starter for stove inc. in rent.